Why do you come to this sub forum and this thread to lecture everyone on what is regurgitated all over the internet? Current discussion aside - there’s literally countless 1911 vs everything else threads. Both platforms have merits and issues. This discussion has also been played out a billion times. I only jump in because I respect and follow Ned’s work and I don’t want to see the thread hijacked into yet another tired endless debate. I mean this with all due respect. Love the guns, shoot them better than just about anything. The fact remains though that they require a higher level of gunsmithing ability than a simple parts change to keep them operational long term. That's all I'll say. Thank you for your courtesy. Love the 1911-bubba tea fights, complete with purse slaps. Thanks for the entertainment, I enjoy it and seeing the local 19-eleben types shoot a mag or two before having to jimmy with this or that, before going back into the range bag. How's the Operator? Any updates or photos? No news but I 'll be seeing it this spring no doubt. Cracktrackerpic. I will eventually just mill this right out unless if falls off first. No downside, really. What is cracked in this picture? There are few things more precious than being anonymous. I see a crack roughly parallel with frame rail, just above plunger tube. 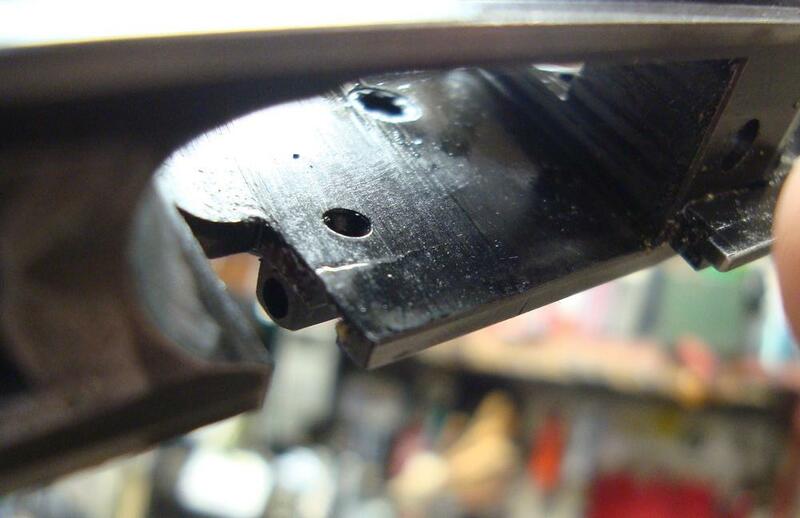 The frame cutout for slidestop is a common stress/crack area. Thanks, that's what I thought but I didn't understand Ned's comment to go along with the picture.